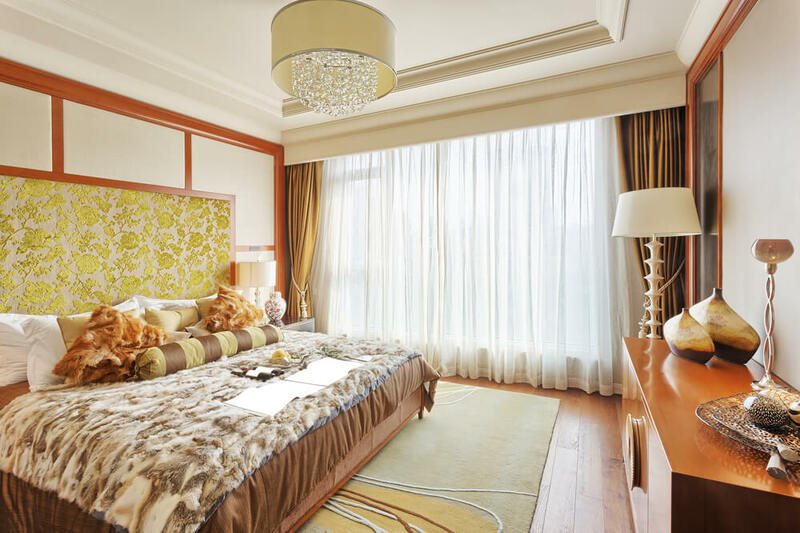 View our pictures of master bedroom ideas. 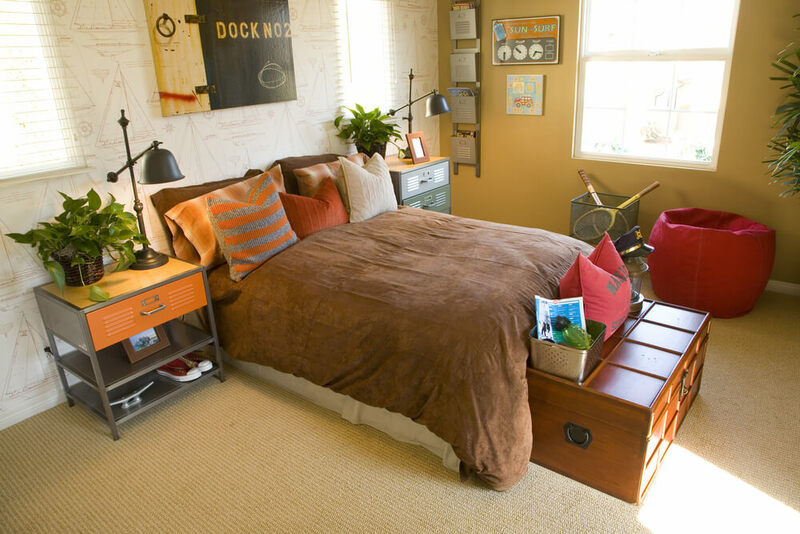 See the bedroom decorating ideas that will set your home apart from all your friends. 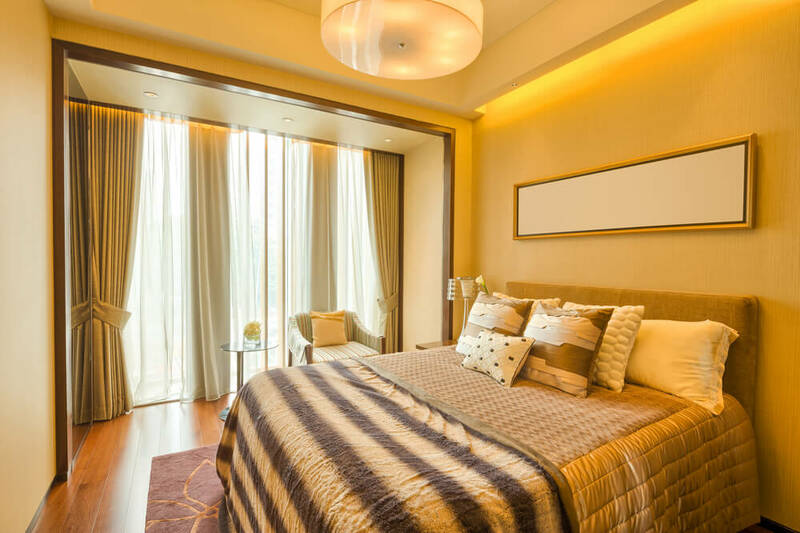 Welcome to our gallery featuring master bedroom decorating ideas! 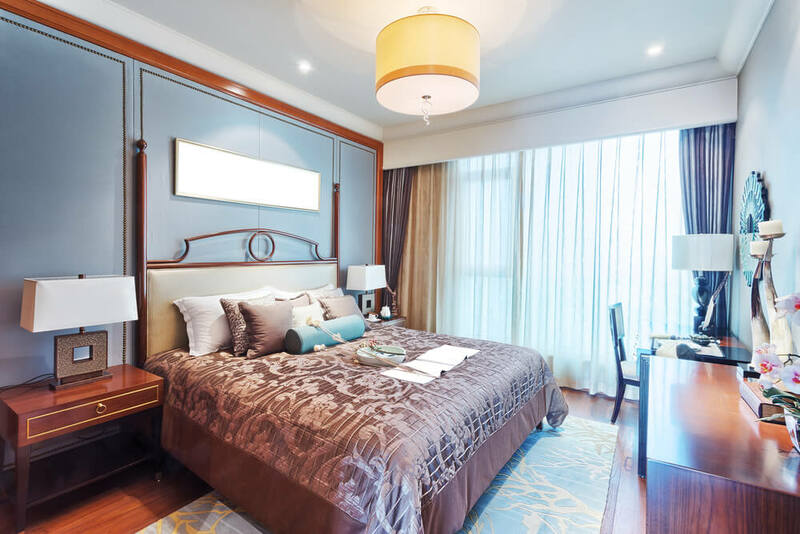 These rooms will inspire you and proved you with great master bedroom ideas and ways to make your master bedroom at home just as amazing as your favorite hotel retreat. 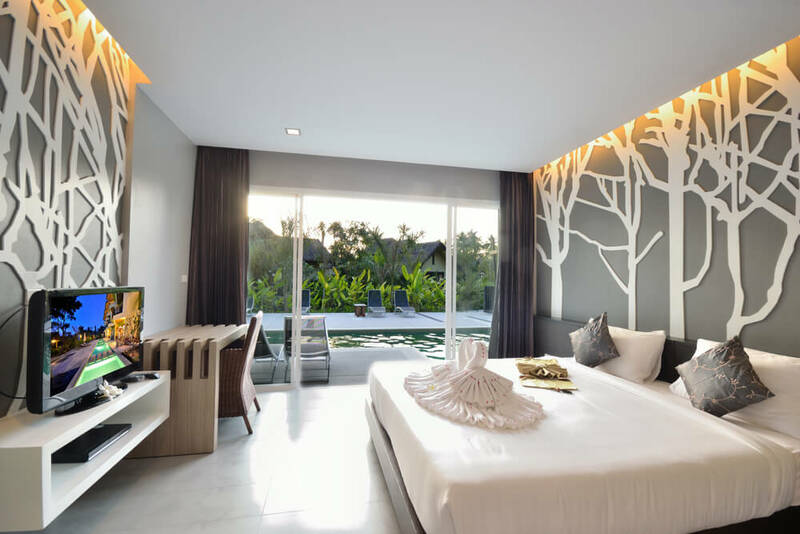 We all know when we go on vacation, one of the exciting things is to be spoiled by staying in an amazing, beautifully decorated room. Why not have this at home as well? 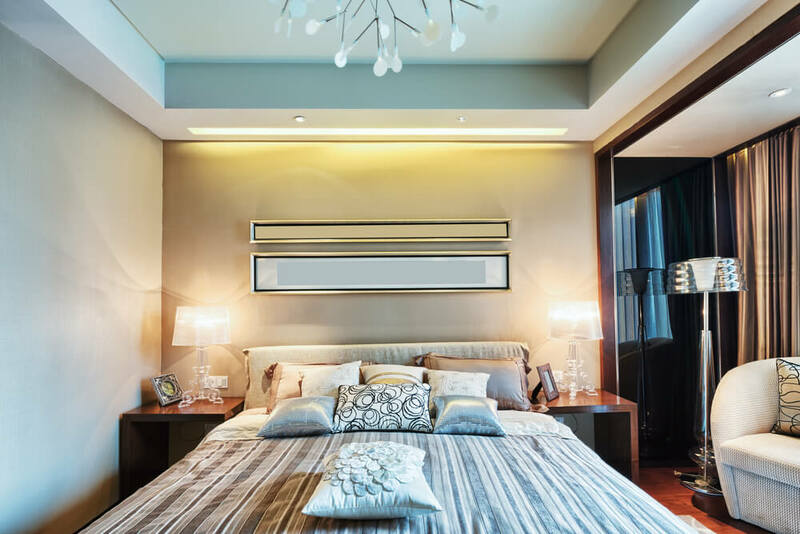 This gallery features master bedroom ideas from large to small, simple to elaborate, neutral to colorful and everything in between. 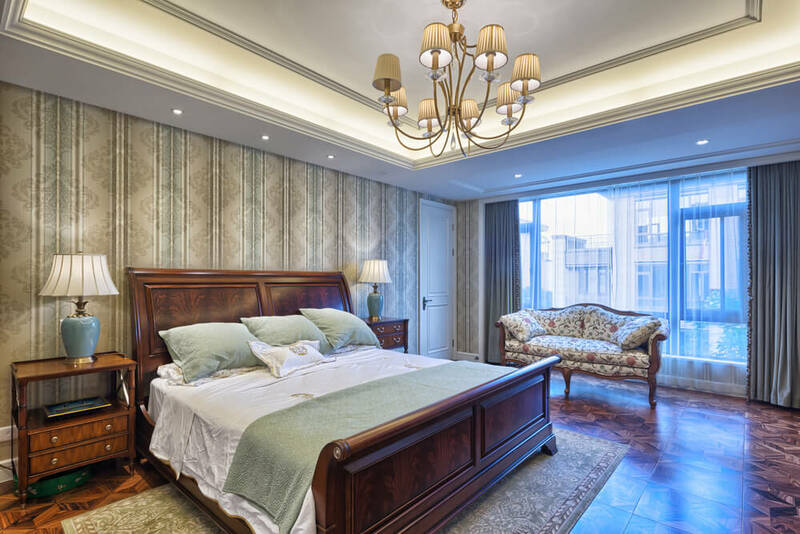 There are some things to think about when recreating your favorite hotel inspired master bedroom. One thing is to always put curtains on your windows. 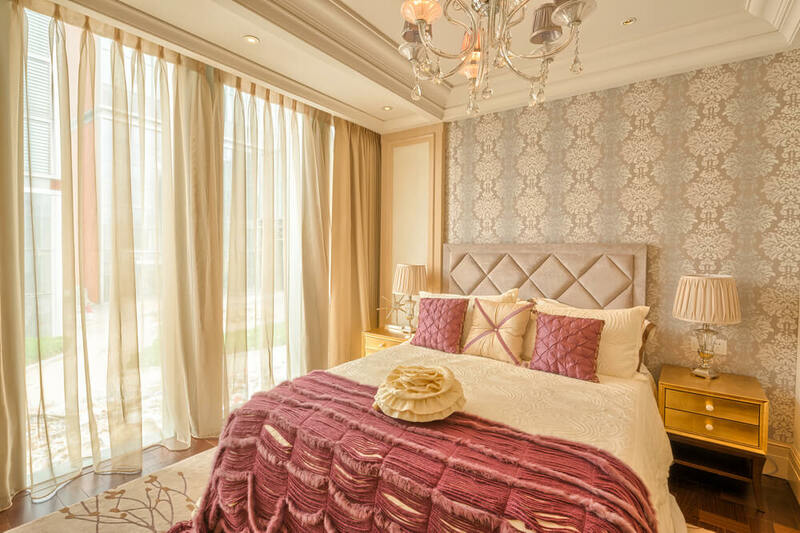 No matter the size or shape or the windows in your room, there is always a way to do nice curtains. Leaving your windows undressed will result in your room looking unfinished. Another thing to think about is if you are working with a room with tile or hard wood floors an accent rug will help make the room a bit warmer and is a great way to tie in your choice of accent color. 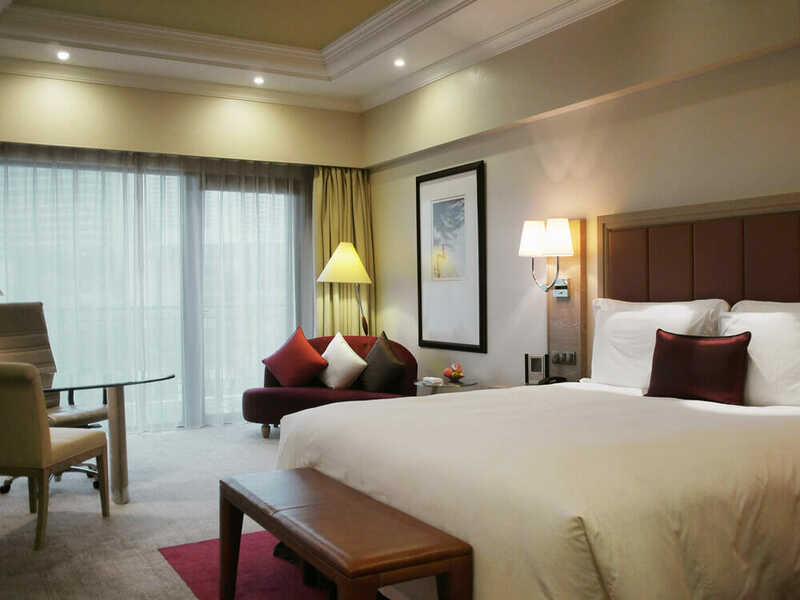 Keeping in mind you want to use the correct size in relation to the size of your room and bed. 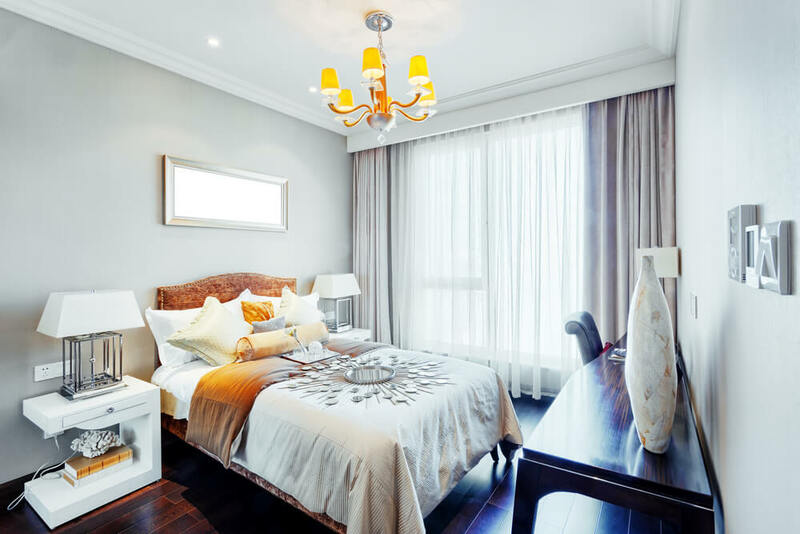 Lamps on your night stands are a must and a nice portrait or mirror above the bed is a great addition to any bedroom. This gorgeous look showcases neutral walls with crown molding in the ceiling cutout and recessed lighting. A rich red headboard with wood trim. This bed looks so inviting with a clean, white, plush comforter. Brown leather bench at the foot of the bed. small glass table with chairs on corner and a small accent couch in the other. Tiger stripped hard wood flooring with a brown and gold accent rug under two full beds side by side, each with a leather bench at their foot. 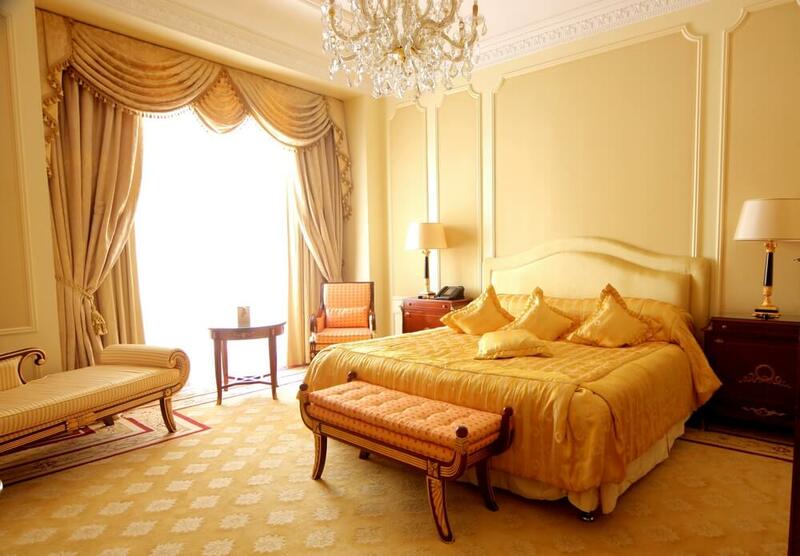 Lavish gold bedding and throw pillows. Victorian style curtains on windows. Chandelier, and accent able with two chairs. 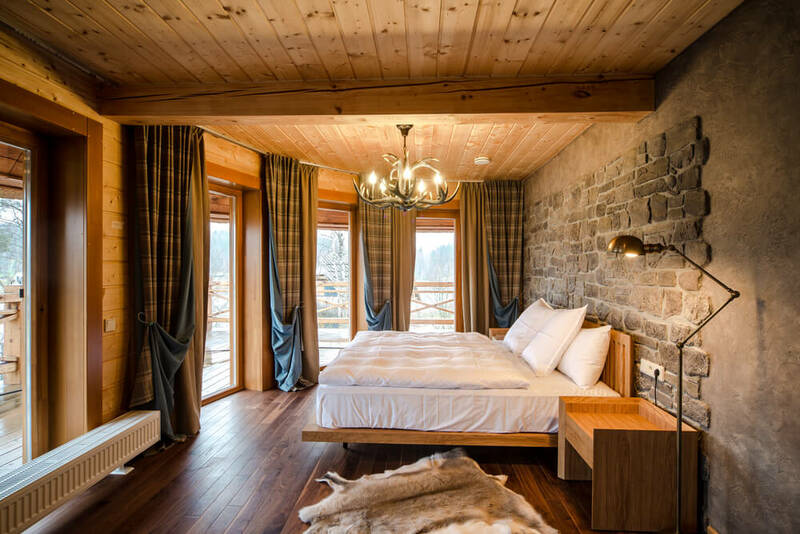 Dark brown hard wood flooring, gorgeous wood framing on the windows and walls. 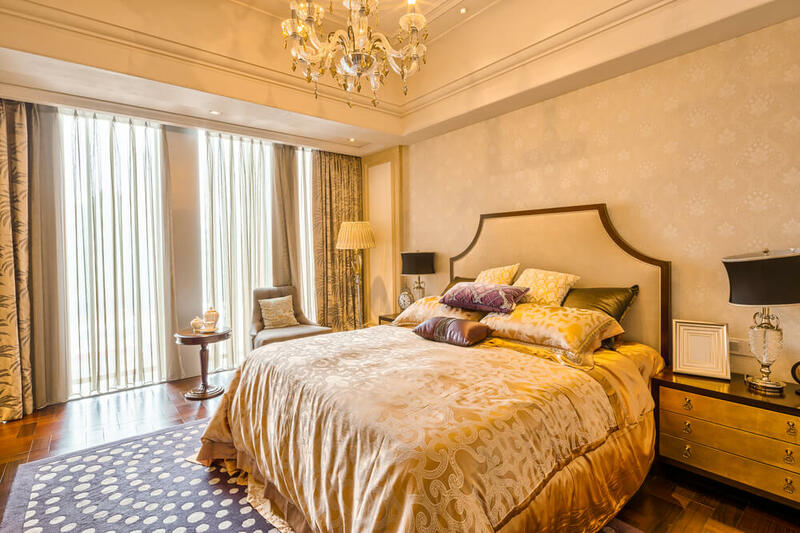 Arched, soft yellow tufted headboard, ornate nightstands white white and gold lamps on either side of the bed. This modern gray and white room features tile flooring, makes great master bedroom ideas for your home. Patterned carpet, wall papered walls, and black out drapes over the windows. 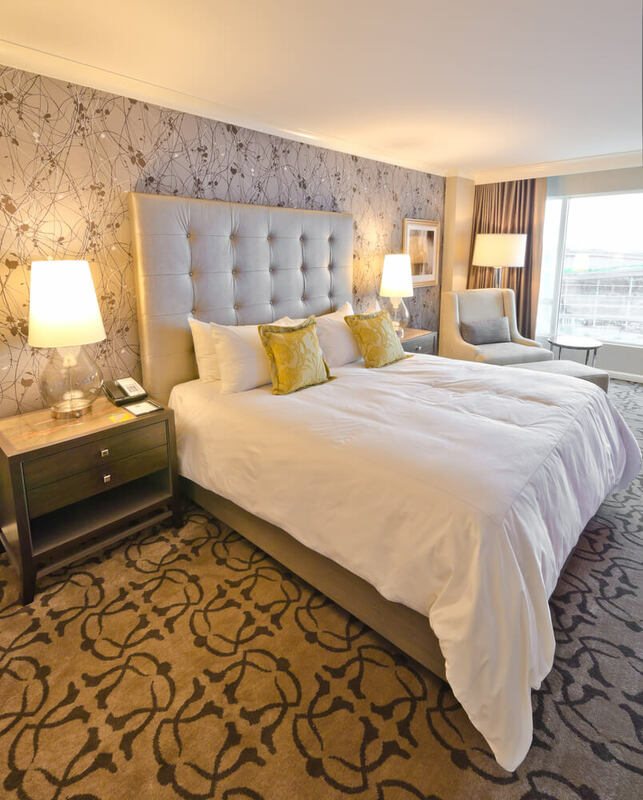 Large, tufted modern headboard, two small lamps on each night stand and a similar standing floor lamp in the corner next to a fabric accent chair. 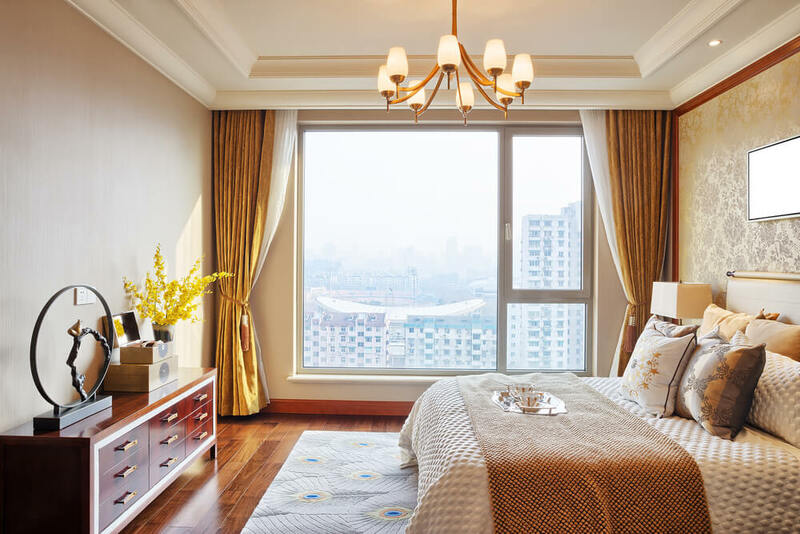 This Western style room features a row of tall windows all around the front of the room, each having its own curtain. A fur skin rug laying on a thin board hard wood floor. All wood bed frame and headboard. Antler chandelier above the bed. Rock accent wall. This large room features hardwood flooring with a large blue and white patterned accent rug are among our favorite master bedroom ideas. A quaint seating area at the foot of the bed. Beautifully wooden framed french doors with windows on either side. Large crystal chandelier above the seating area. Dark wood floors and light blue-gray walls. White, modern night stands with silver and white lamps next to a small full sized bed. Splash of gold as accent color in headboard and throw pillows. Small silver framed mirror above bed. Two shades of gray with yellow accent. Tile flooring with accent rug under bed. 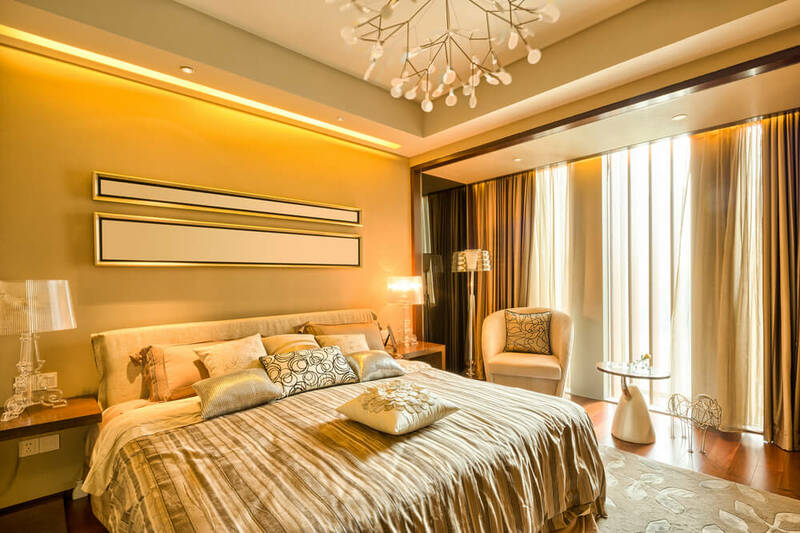 Neutral wall with gold art wall pieces above bed. Different sized throw pillows, silver, modern lamps on night stands. Patterned wall paper, hard wood flooring and a neutral area rug under bed. Brown comforter with a pretty silky blue lining. Three small framed mirrors hung above bed. One wall papered accent wall with wood trim. Crown molding lining ceiling cut out with chandelier in the center. Modern lamp shades and a low sitting modern dresser on the opposite wall. Unique peacock feather accent rug on top light hard wood flooring. Over sized gold and cream floral headboard, fur throw pillow and blanket on bed. Chandelier with a lamp shade around crystals in the center of the room. This old fashioned Victorian style room shows hard wood flooring, crown molding and two accent walls, each with different wall paper. Adorable window bench seat and a great yellow and brown large accent chair with a tall floor lamp on one side. 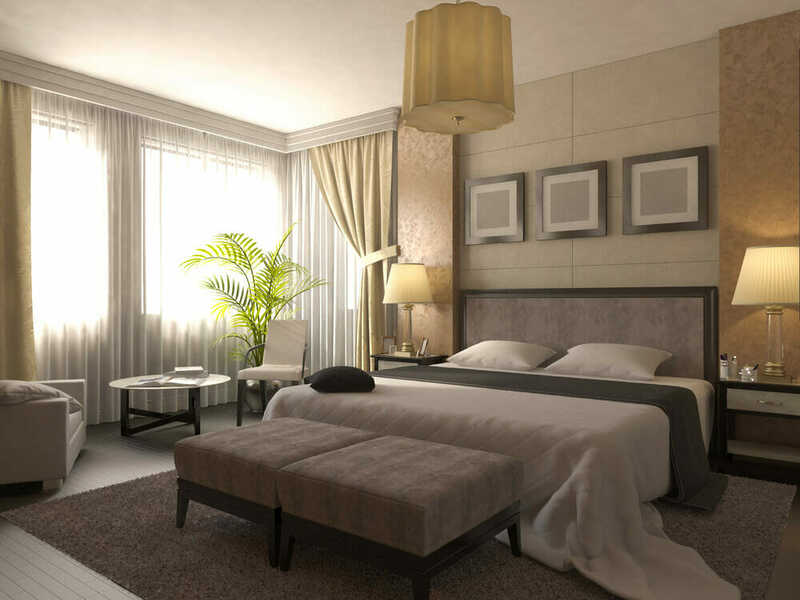 A plethora of master bedroom ideas to choose from. 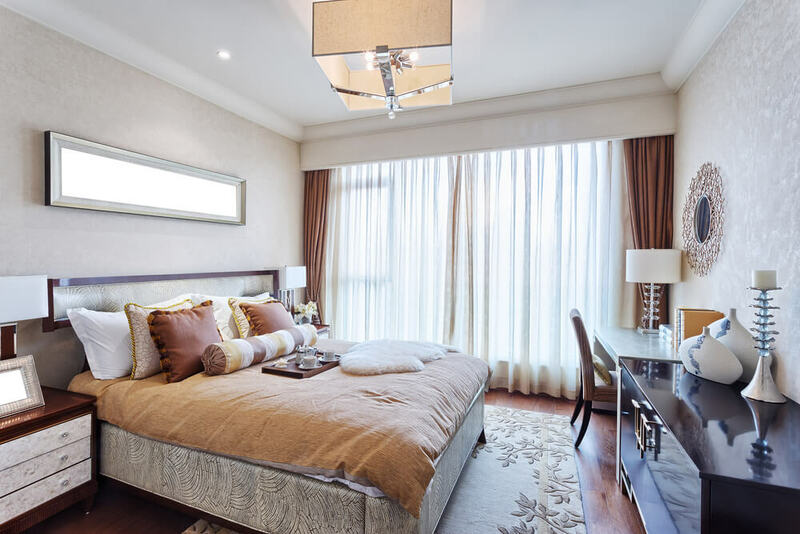 This room shows a light, simple pattern on the walls, sheer white curtains with dark curtains tied back on each side. Modern furniture and lamp shades. 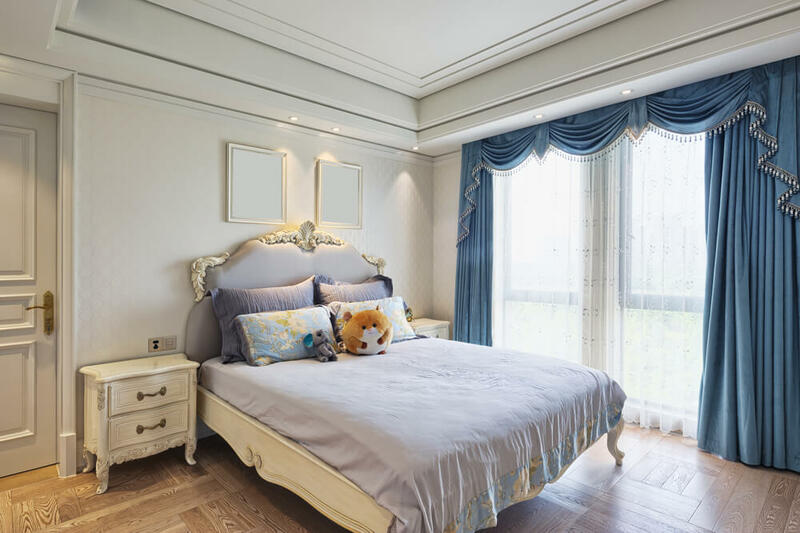 Long, horizontal framed mirror above the bed. Periwinkle accent wall behind bed. Wood and fabric combination headboard. Silky plum colored bedding with decorative throw pillows. Desk area next to the window. This color scheme includes light blue, white and tan. Large, beautiful white tufted headboard, blue and white bedding with a variety of patterned accent pillows. Nice detailing on the walls and ceiling. Large glass chandelier. 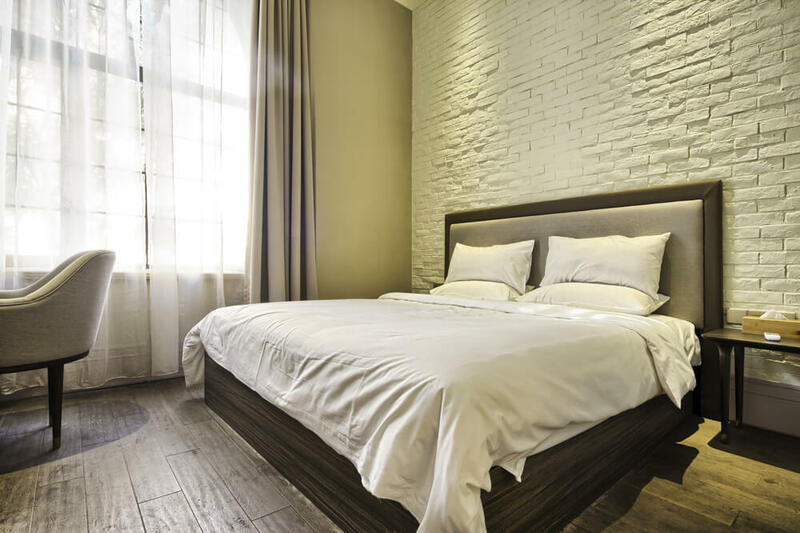 Light wood flooring, simple all white bedding. Lamps fixed to the walls above each night stand on either side of the bed. 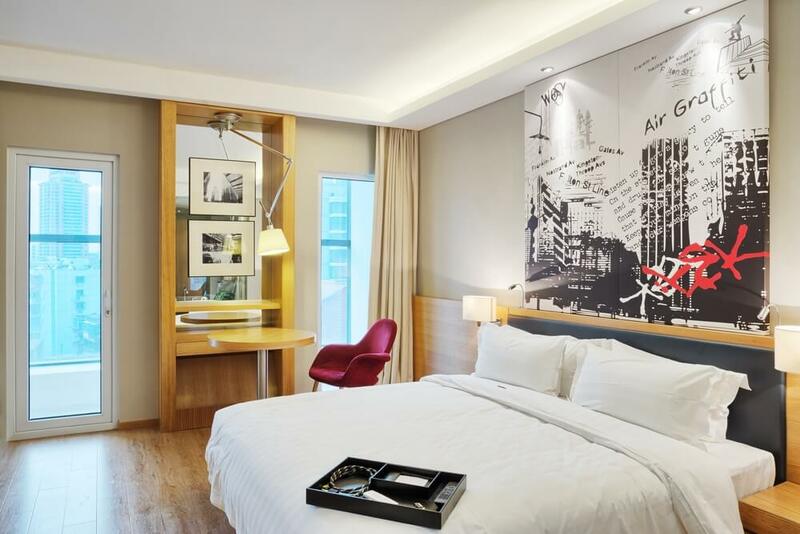 Unique wall art above bed going all the way to ceiling. Built in shelving with mirror background. This stunning retreat showcases hardwood flooring with a large accent rug. Two large square ottomans at the foot of a simple yet elegant dressed bed. Two styles of accent chairs with a small round glass table in front of a large window covered with sheer white curtains. Large lighting fixture hanging from ceiling. Distressed, large board wood flooring with a white brick accent wall. Tall curtains from floor to ceiling. Small table style night stands. This narrow room has just enough space for a queen size bed and a couple small table style night stands. Stripped bed spread and lots of throw pillows to pull in some accent colors. A tall floor lamp next to a patterned accent chair. This stunning room features a large, lavish dressed bed with lots of throw pillows and a sleigh style bench and the foot. A small antique desk and accent able in front of the window. This unique room has hardwood flooring with the planks place both horizontally and vertically. Blue accent rug with varying sized white polka dots. 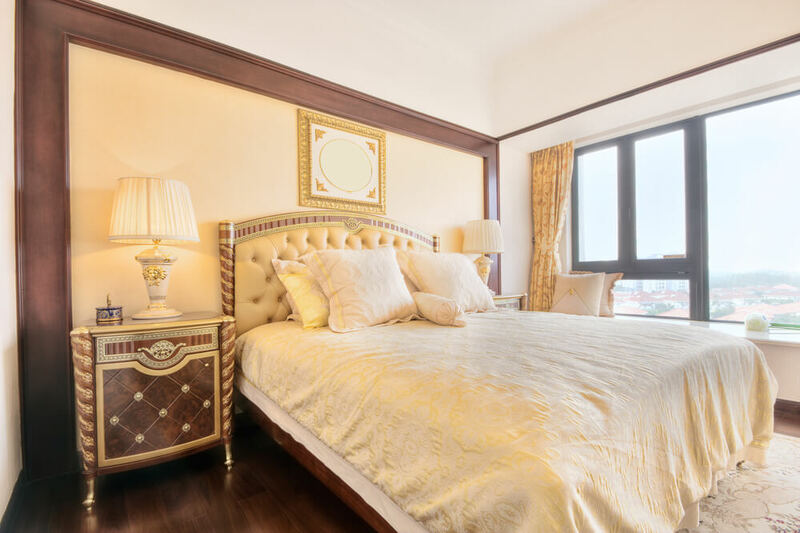 Rich gold and cream silk bedding. Black lamp shades to through in a splash of dark. This is a soft, pretty look with plum and cream bedding including a few decorative accent pillows. 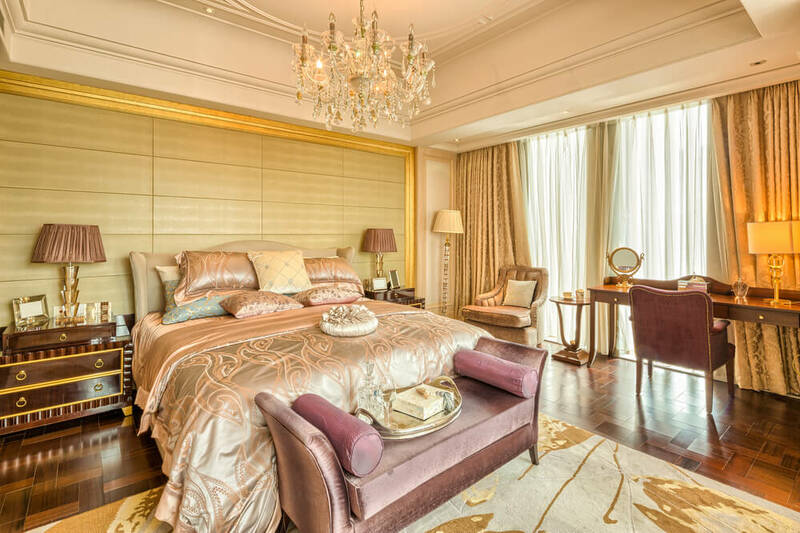 A diamond patterned headboard and two small gold night stands on either side. sheer cream curtains on the windows. 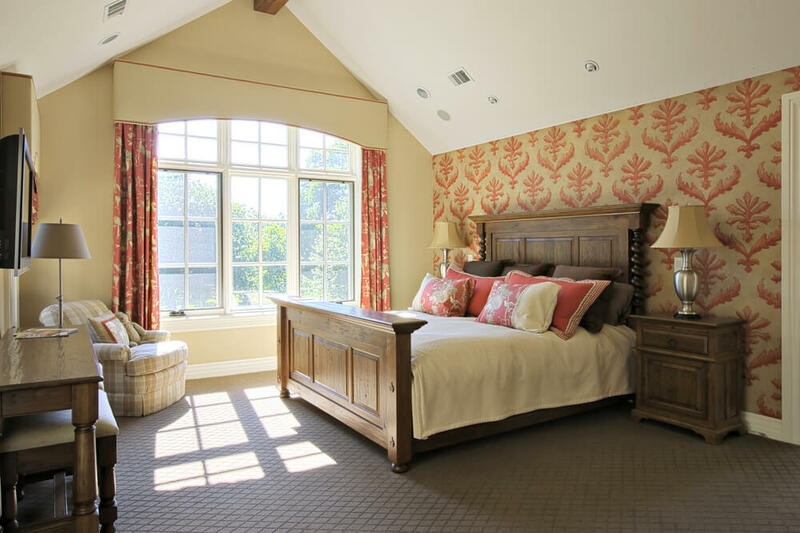 We love these curtains, pillows and rug as they make excellent master bedroom ideas. 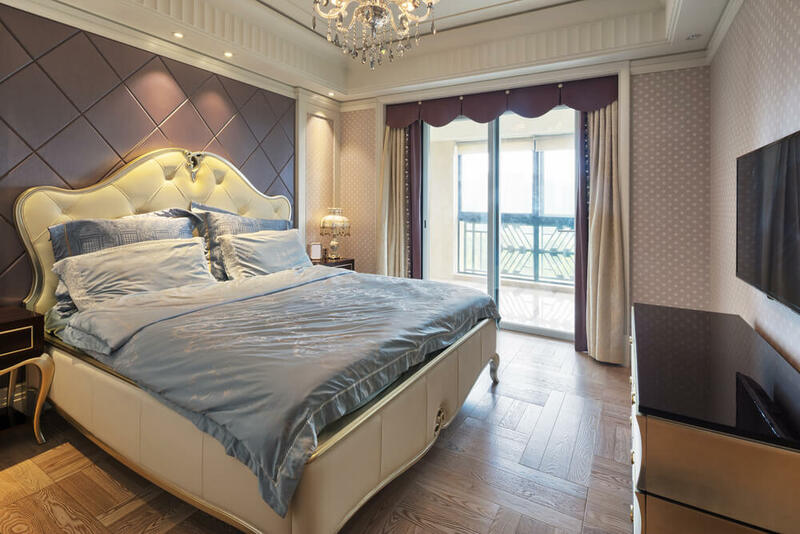 This room showcases a gorgeous combination of silver, gold and splashes of purple! Uniquely created wood flooring, stunning bedding with a velvet bench at the foot of the bed. Nice vanity/desk, along with a small table and accent chair in front of the window. 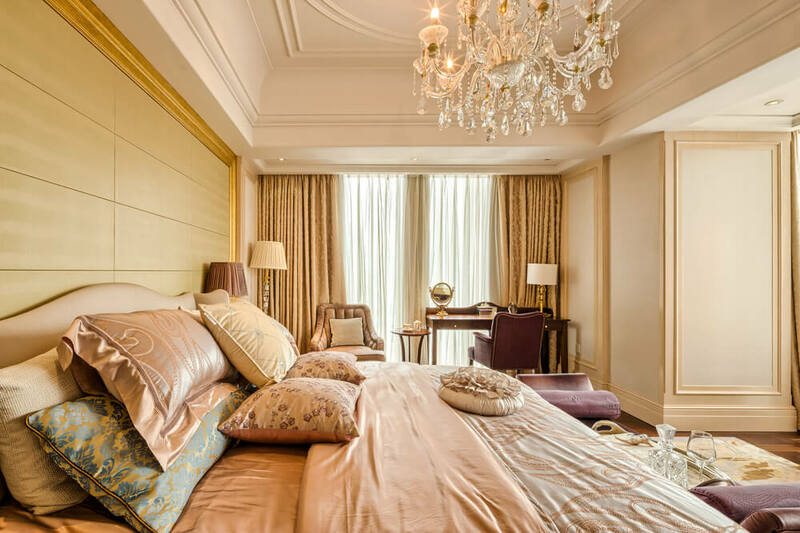 Master bedroom ideas inspired by luxury hotels. This is an adorable blue and white Victorian decorated room is simple and beautiful. Light wood flooring with lightly patterned wall paper. White, ornate bed frame with two matching night stands. Two, square white framed mirrors above bed. Sheer, lacy curtains framed with thick blue drapes. 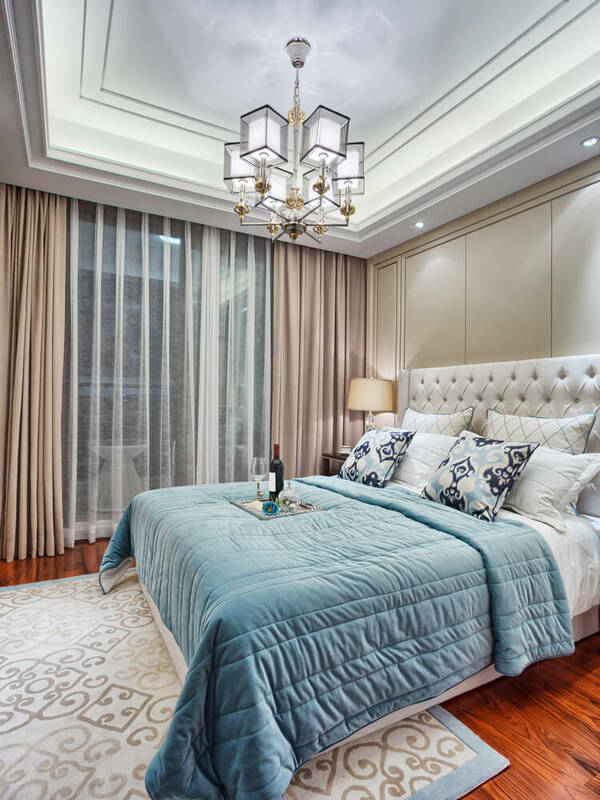 Absolutely stunning bed frame with tufted headboard, light blue bedding. Plum diamond patterned accent wall behind bed. Beautifully designed cut out in ceiling with a crystal chandelier. T.V. mounted to wall across from bed. 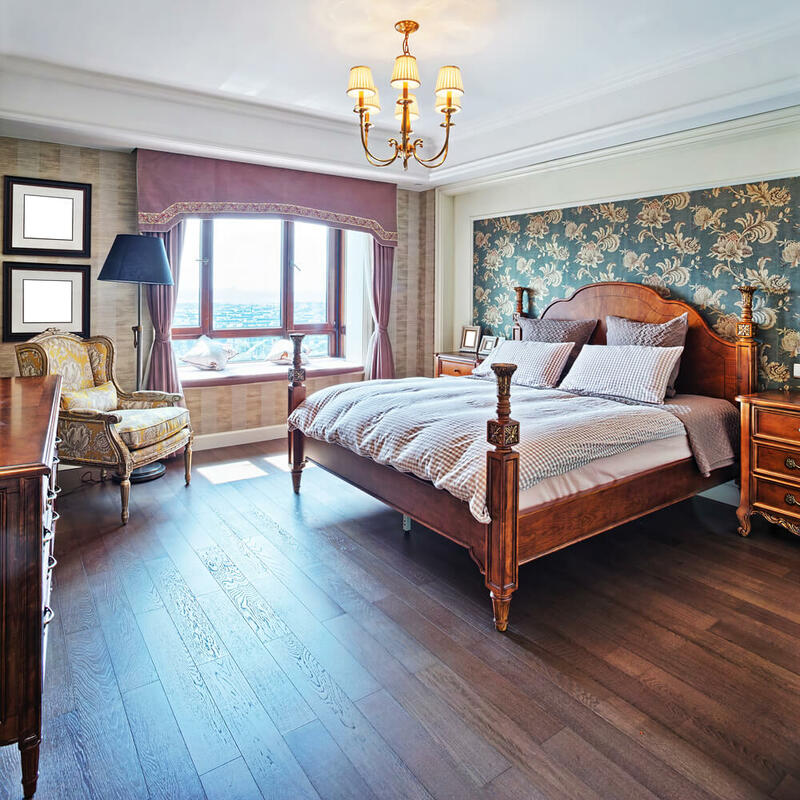 Brown tile flooring with accent rug under a brown wooden sleigh bed frame. Simple white sheet bedding with a throw blanket at the foot of the bed. Antique, floral patterned couch in front of a large window. Herringbone wood flooring, board and batten walls and one wall papered accent wall behind bed. 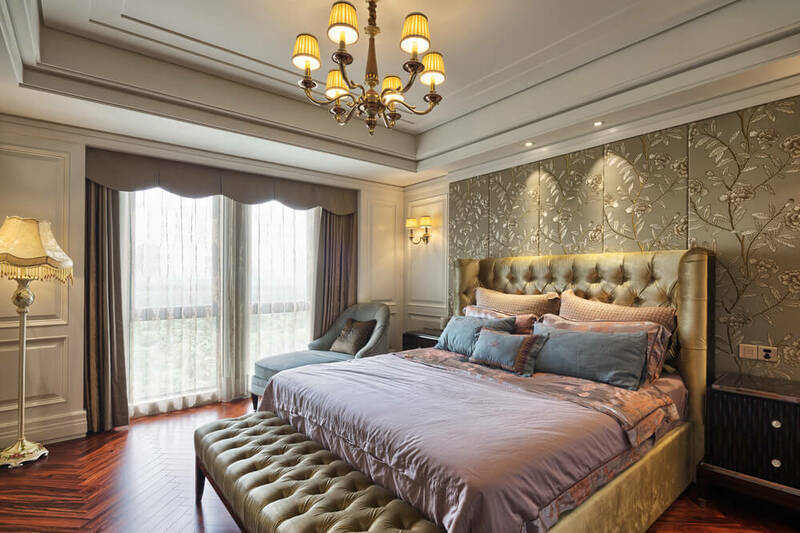 Large gold tufted headboard with a matching bench at the foot of the bed. Antique lamp in one corner and lounge in the other. This breathtaking room features patterned carpet all throughout. 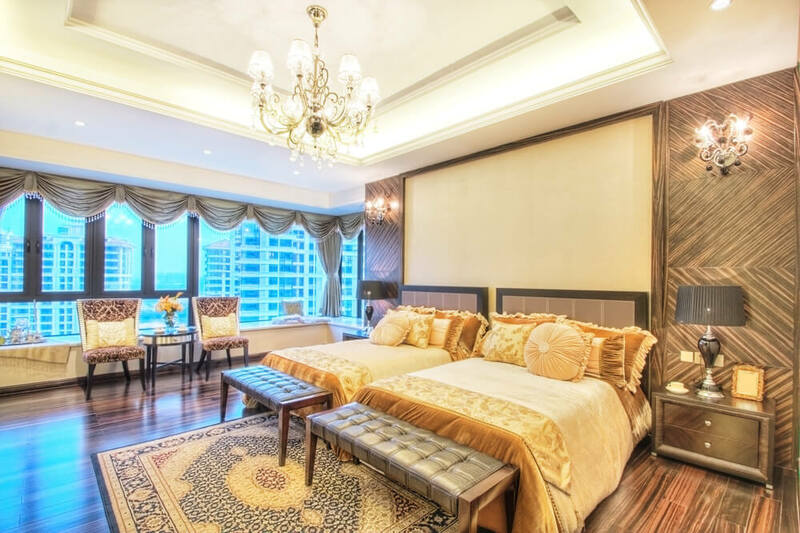 An intricate designed ceiling and antique furniture all around the room. Deep red and gold bedding with a matching bench at the foot of the bed. Large round bulb light fixture hanging from the ceiling.